Kit cars often offer great compromise when searching for an authentically historic driving experience, but with the possibility of more power and reliability in a classic, without diminishing resale value. But sometimes, kit manufacturers take it too far. Whenever I see something like this, I can’t help but shake my head in disgust. No, it won’t transform your retired “premium level” 300C Hertz rental car into a Bentley. Don’t even think about it. The original Countach was an insane, inimitable, piece of machinery. So of course people couldn’t help themselves from attempting to replicate the beauty. Unfortunately, most failed miserably. And then there’s that guy that spent seventeen years crafting one in his basement. The Factory Five 818s allows for Subaru owners to make use of parts from their recently wrecked WRX’s and transplant into a tubular framed, composite wrapped, all wheel drive roadster.. The 818 takes the heart from a WRX, as well as several other components, and combines everything to create the open top WRX we never had. And who doesn’t love the brap of Subaru’s boxer four? With a top speed of more than 240MPH and a 0-60 time of 2.3 seconds, the Ultima Evolution comes in as one of the most full on, balls out, road cars around the $100,000 mark. What’s better than a stock Miata? A Spec Miata. What’s better than a Spec Miata? An Exocet Miata. Exomotive will take a Miata, strip it, remove the body, cage it, and even drop an LS in it if requested. Why fix something that’s not broken? There’s a reason Caterham has not fiddled with the core formula that makes up the Seven, it’s perfect. Whether you have the 79 horsepower, three cylinder under the hood, or the supercharged, 310 horsepower Duratec, the Seven is one of the most capable and exciting cars one can buy. The plucky, devilish love child of an Ariel Atom and a Rally Fighter. The phenomenal body kits and attention to detail throughout Kirkham’s lineup allow for some of the most beautiful Shelby replicas currently available. But I hope you don’t mind dropping over $200,000 for a roller. The ETV implores some of the most out of this world design characteristics ever seen fit to a road car. And to think that the poor car underneath all that could’ve started life as an Chevy Aveo, a Toyota MR2, or even a Porsche Boxster, yeesh. The Lister Bell STR is one of the few modern reincarnations of one of the most iconic rally cars of all time, the Lancia Stratos HF. 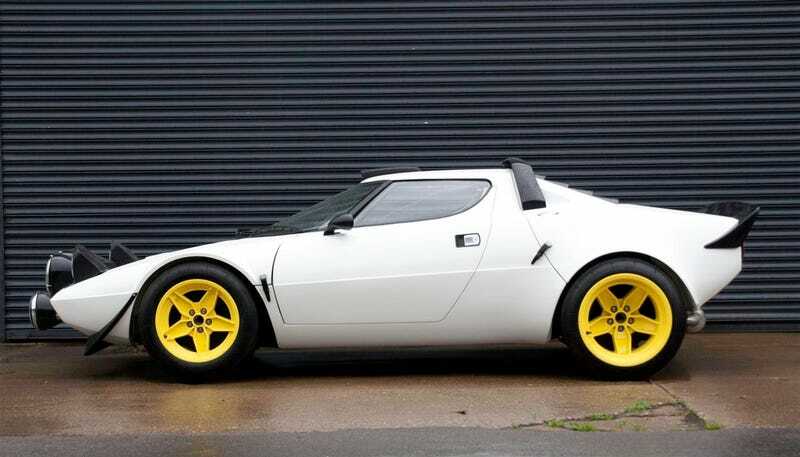 The original Stratos won the WRC three times(!). Now Lister Bell offers the same spirit and experience in a car that might not immediately fall apart, but with that same ageless Bertone design.